If you’re still faced with a mammoth shopping list in the lead up to Christmas, let Jones the Grocer ease some of that stress with their festive range of gourmet gift hampers. For those who simply cannot start the day without a heart-jolting dose of caffeine, present them with this Jones the Grocer coffee hamper, brimming with the finest coffee beans and all the tools they’ll need to make the perfect cup each morning. Say thank you for all the love they’ve shown your little ones this year by gifting your kids’ school teachers with a sweet hamper from Jones the Grocer, packed with premium Valrhona chocolate bars, exquisite praline truffles, old-fashioned lollies, chocolate-coated almonds, and more. 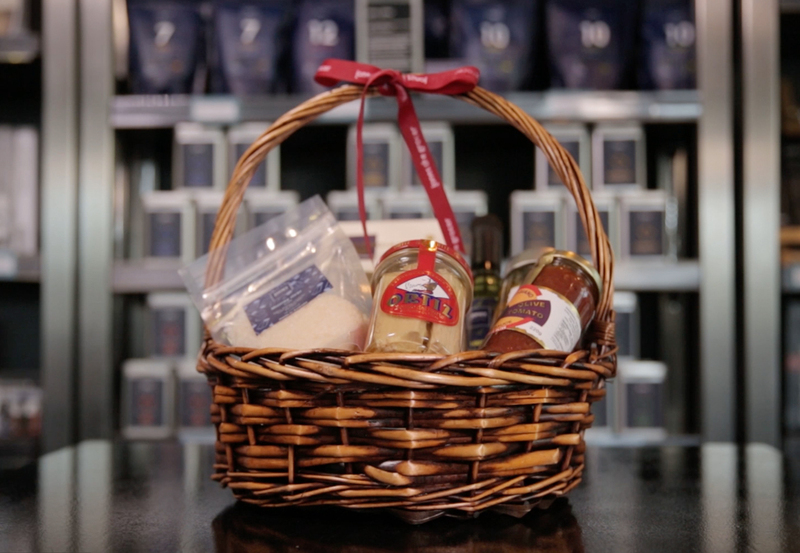 Gourmet food lovers will swoon over this hamper of imported artisan ingredients from Jones the Grocer. Present the keen cooks in your life with this beautiful basket of pasta, olive oil, marinated vegetables, sea salt, risotto rice and Ortiz tuna. And then make sure they invite you around for dinner! To take the hassle out of gift shopping this Christmas, order your Jones the Grocer gourmet gift hampers online, or visit one of the 13 stores across the UAE, with branches in Dubai, Abu Dhabi, Sharjah and Al Ain. You’ll find an impressive array of Jones the Grocer hampers for every taste and budget, including fresh hampers filled with cheese and charcuterie, tea hampers, and Italian hampers that celebrate la dolce vita. For more Christmas inspiration from Jones the Grocer, discover how to create the perfect cheese board.